The population of Lithuania is 3.5 million, 84.6% of whom are ethnic Lithuanians who speak Lithuanian, the official language of the country. Several sizable minorities exist, such as Poles (6.3%), Russians (5.1%), and Belarusians (1.1%). Poles are the largest minority, concentrated in southeast Lithuania (the Vilnius region). Russians are the second largest minority, concentrated mostly in two cities. They constitute sizable minorities in Vilnius (14%) and Klaipeda (28%), and a majority in the town of Visaginas (52%). About 3,000 Roma live in Lithuania, mostly in Vilnius, Kaunas, and Panevezys; their organizations are supported by the National Minority and Emigration Department. 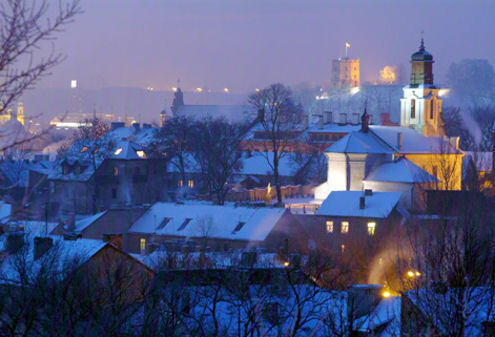 Lithuania is in Northern Europe, the southernmost of the three Baltic states. Situated along the southeastern shore of the Baltic Sea, it shares borders with Latvia to the north, Belarus to the southeast, Poland and the Russian exclave of Kaliningrad to the southwest. 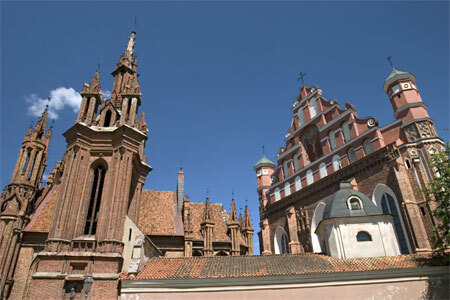 During the 14th century, Lithuania was the largest country in Europe. In 1569, Poland and Lithuania formed a new state, the Polish-Lithuanian Commonwealth that lasted more than two centuries, until neighboring countries systematically dismantled it from 1772 to 1795. Lithuania's Act of Independence was signed on February 16, 1918, declaring the re-establishment of a sovereign state. Starting in 1940, Lithuania was occupied first by the Soviet Union and then by Nazi Germany. Lithuania has around 61.5 miles of sandy coastline, of which only about 24 miles face the open Baltic Sea, the shortest among the Baltic Sea countries. Lithuania's major warm-water port, Klaipeda, lies at the narrow mouth of the Curonian Lagoon, a shallow lagoon extending south to Kaliningrad. The main river, the Nemunas River, and some of its tributaries carry international shipping vessels. The Lithuanian landscape has been smoothed by glaciers. The highest areas are the moraines in the western uplands and eastern highlands. The terrain features numerous lakes, Lake Vistytis for example, and wetlands; a mixed forest zone covers nearly 33% of the country. The climate lies between maritime and continental, with wet, moderate winters and summers. The official recognition of Lithuanian statehood was on July 6, 1253 with the official coronation of Mindaugas as King of Lithuania. During the early period of Vytautas the Great (1316-1430), the state occupied the territories of present-day Belarus, Ukraine, and parts of Poland and Russia. By the end of the fourteenth century, Lithuania was the largest country in Europe, and was also the only remaining pagan state. In 1569 Poland and Lithuania formed a new state, the Polish-Lithuanian Commonwealth that lasted more than two centuries, until neighboring countries systematically dismantled it from 1772 to 1795. Lithuania's Act of Independence was signed on 16 February 1918, declaring the re-establishment of a sovereign state. Starting in 1940, Lithuania was occupied first by the Soviet Union then Nazi Germany. As World War II neared its end in 1944 and the Nazis retreated, the Soviet Union reoccupied Lithuania. On 11 March 1990, Lithuania became the first Soviet republic to declare its renewed independence. 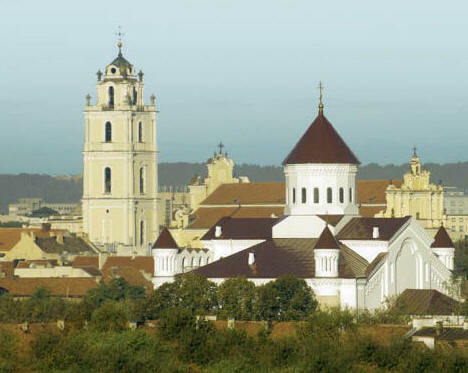 Vilnius, the capital city of Lithuania, is currently one of the most visited cities in Eastern Europe. Attractive not just for its unique architecture, at any time of the year there are a variety of events taking place of various scope and format in the cultural, music, cinema, theatre, and art fields, including fashion festivals. The Curonian Spit is included on UNESCO's World Heritage list. Take in its beautiful sand dunes, lovely plant life, white sandy beaches and quaint villages. Hill of Crosses is the biggest attraction in Siauliai to people all over the world, especially Christian pilgrim travelers. There are two regional parks, Labanoro Regional Park and the Sirvetos Regional Park, in Vilnius. There are also five nature preserves. Casinos, bars, dancing-bars, nightclubs, sauna, and entertainment centers are all over the urban areas of Lithuania. 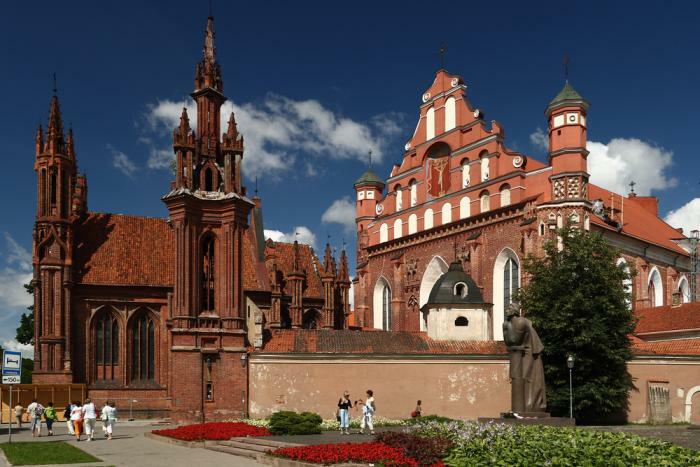 The biggest cities are Vilnius, the capital; Kaunas, the second biggest city; and Klaipeda, the third biggest city. Cosmopolitan and global in orientation, these are perfect places of entertainment for people to come out, enjoy, and rejuvenate after a very busy day, with assorted fine liqueurs and savory and mouth-watering food. The line up of options to choose from is subject only to one's preferences in terms of taste, palate and wallet. Even today, these regions differ by dialects, ways of life and behavior styles, while until the turn of the last century there were pronounced differences in dress and homestead styles as well as village planning. Lithuania is justly proud of its unfailing treasures of folklore. These include colorful clothing, meandering songs, an abundance of tales and stories, sonorous dialects and voluble language. This heritage is nourished by folklore companies and barn theaters. Recent years have witnessed the revival of crafts and culinary traditions. Folk craft fairs and live craft days are organized during many events and festivals. Lithuanian dinners usually include meat, potato, vegetables and sometimes a curd sauce of some sort. The Lithuanian national dish is the cepelinai, or zeppelin dumpling. These are meat filled potato dumplings traditionally slathered in a sauce of sour cream, butter, and pork cracklings. Pork is traditionally eaten, but beef much less so. Needless to say, vegans will have a hard time eating out, although some large restaurant chains will have vegetarian dishes on the menu. Some other Lithuanian food includes the kibinai (from the Karaim people), which are small turnovers usually filled with spiced lamb, and cheburekai (a Russian snack), which are large folds of dough with a scant filling of meat, cheese, or even apples. These can readily be found around the city. While most menus are written in Lithuanian, many have menus in English and to a lesser extent, Russian.